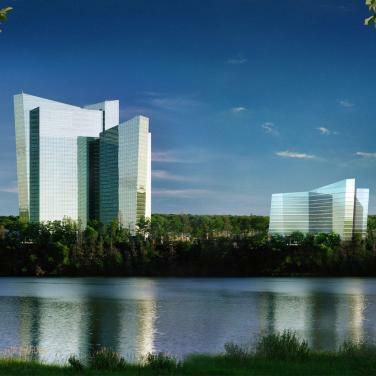 Located just 20 minutes from Groton and half an hour from Westerly, Rhode Island, the Mohegan Sun is a world-class entertainment venue that is easily accessible from locations throughout New London County and South County. If suffering through the depths of winter has you down in the dumps, a quick trip north to the Norwich area might be just what the doctor ordered. Not only does the Mohegan Sun have outstanding restaurants, a renowned nightlife, a full spa, and a casino, but you'll also have the chance to experience some of the hottest acts on the planet in the coming weeks. The following is a list of some of the performances, sporting events, and expos the venue will attract between now and the first few weeks of spring, giving you more than enough to do as you wait for beach season to be upon us again. Perhaps the main reason to visit the Mohegan Sun is to attend a concert, as the venue puts on great shows almost every week. As a bonus, most of the shows are on weekends, making it easier to get away to attend. In the next couple of weeks, we'll see a couple of great tours make their way through the Mohegan Sun. On Saturday, February 23, multi-platinum rock group Disturbed will take the stage, while on Saturday, March 2, Shinedown will visit as part of their Attention Attention World Tour. Papa Roach and Asking Alexandria will join the band for the show. From there, Kelly Clarkson will visit the casino on March 14 and 15, while Blake Sheldon makes appearances on March 21 and 22 and KISS has a concert on Saturday, March 23. The hits don't stop there, as Ariana Grande has a performance at the Mohegan Sun on March 30 and Justin Timberlake will put on a couple of shows on April 12 and 13. As you can see, there is something to satisfy almost any taste in music and on some weekends, you can even take in a couple of your favorite artists back to back. 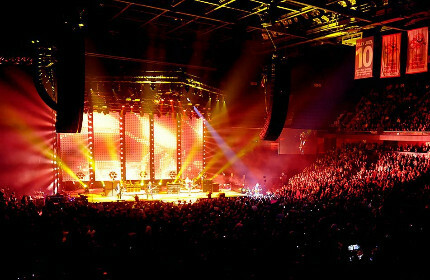 Have a look at the Mohegan Sun Arena's event page to help plan your next visit. The fun at the Mohegan Sun doesn’t stop with the music, as the venue has a comedy room called Comix Roadhouse with shows five nights per week. On weekends, the club tends to attract well-known comics to the stage, so if you plan to make a weekend of it, you can always take in a concert and a comedian in one visit. The first weekend in March will see Brad Williams visit the Roadhouse for four shows. Williams is currently one of the country's hottest comedy acts thanks to his newly released Netflix special and appearances on the Tonight Show. From there, Jamie Kennedy takes the stage for four shows between March 7 and 9. Kennedy is perhaps best-known for his work in the Scream movie franchise and his role as Dr. Callahan in the short-lived television series Heartbeat. March 14-16 brings Donnell Rawlings to the comedy club. Rawlings usually tours with Dave Chappelle and is also recognizable from his roles on various MTV television series. The following weekend is reserved for Harland Williams, a comedy legend who has been touring for decades. Williams has been in movies like Dumb and Dumber, There's Something About Mary, The Whole Nine Yards, and Down Periscope, just to name a few. Expos and festivals are a significant part of the calendar at the Mohegan Sun, starting with the Southern New England RV and Camping Show, which runs from March 8-10. The show will bring all of the latest camping supplies, accessories, travel trailers, and recreational vehicles to the venue, with on-site campground exhibits providing information on some of the area's best locations. Tickets are $12 in advance and $14 at the door. On April 5, 2019, the Sun Whiskey Union will go down in the Earth Ballroom. The event costs $50 to attend and provides you with tastings of top-of-the-line rye, Scotch, bourbon, and whiskey, in addition to some unique cocktails. You'll also have the chance to chat with the employees of the various distilleries, providing a comprehensive experience for whiskey lovers. Sports are a staple at the Mohegan Sun, as the venue is home to two professional franchises. The New England Black Wolves of the National Lacrosse League play their home games at the Mohegan Sun Arena. The season starts in the middle of December and runs through the end of April. The club plays nine home games during the regular season. The other professional sports franchise operating out of the casino is the Connecticut Sun of the WNBA. Their season doesn't get started until the end of May, however. Another major sporting event taking place at the arena is the American Athletic Conference Women's Basketball Championships. This event starts on March 9 with the finals taking place at 7:00 PM on March 11. ESPN2 will broadcast the finals. As you can see, there is always something to do at the Mohegan Sun, and since the resort is just a short drive away from the coastal towns of southern Connecticut and Rhode Island, you can choose to head up for the evening, spend the night, or even spend an entire weekend enjoying the festivities. Knowing that so many entertainment options are nearby can help you to get through the next few weeks of winter and looking forward to the beach weather that is sure to follow.